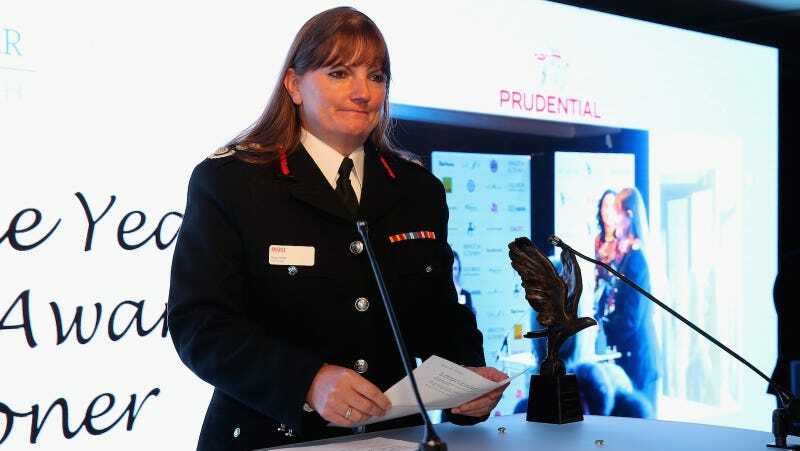 Dany Cotton is the first female commissioner of the London Fire Brigade, which should be enough to earn her some freaking respect. Yet, just mentioning that changing “fireman” to “firefighter” would perhaps encourage more women to join the force has led to nothing but abuse. Surprise. However, she was a bit hesitant when asked about imposing quotas for hiring women in roles traditionally dominated by men, citing her own experience. Cotton says she’s always been accused of being given promotions because she was the only woman up for the role, including her current position, and thinks women hired via quota will face similar doubt. In her previous interview, when Cotton initially squared up against Fireman Sam, she said that the management was “clearly under pressure to change the force,” but it wasn’t the management who has the biggest problem with her presence. “The issue for some is that if a woman can do the job, then it isn’t the big hero job it was. It de-machos their role,” she said.